As the holiday season approaches, families will prepare to make their travels to family gatherings, many with small children in tow. Whether traveling by car or plane, trips with young children often require parents to take extra safety precautions to ensure their health and safety while away from home. 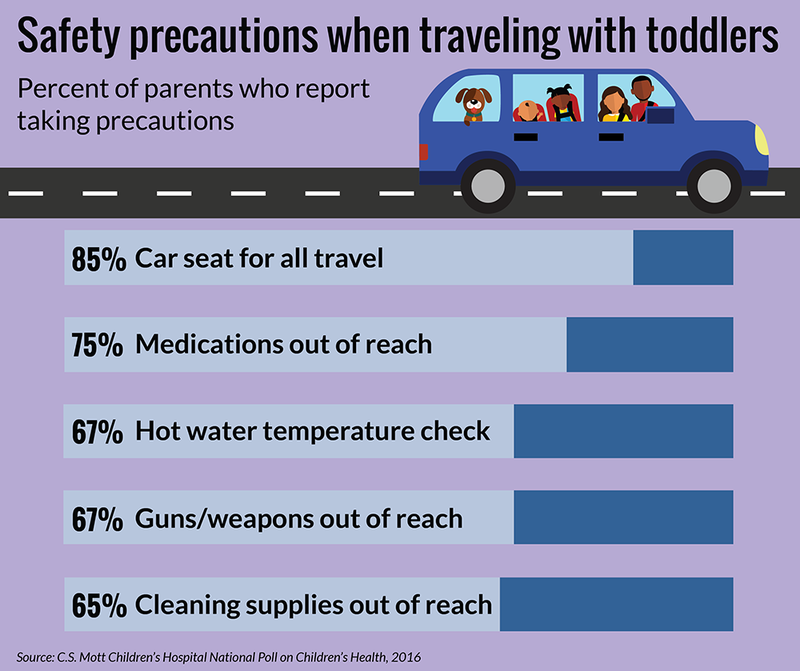 A 2016 Mott Poll found that parents may neglect routine safety habits when traveling with their toddlers. While traveling itself can be stressful, planning ahead for these safety measures can help parents ensure that everyone has a fun, safe vacation. Traveling with toddlers: Health and safety on vacation?